Mineralogy: a subject of geology specializing in the scientific study of chemistry, crystal structure, and physical (including optical) properties of minerals and mineralized artifacts. Specific studies within mineralogy include the processes of mineral origin and formation, classification of minerals, their geographical distribution, as well as their utilization. 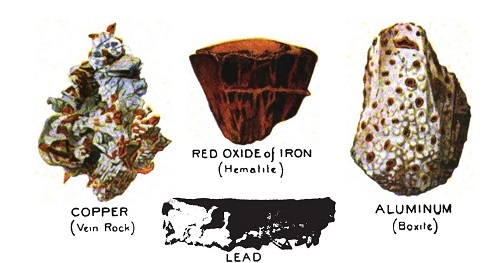 Most mineralogists study minerals of economic value, such as metals like copper, aluminum, and iron ore, as well as gypsum and clays. They determine their physical and chemical properties, how to efficiently retrieve them from ores, and how to process them.